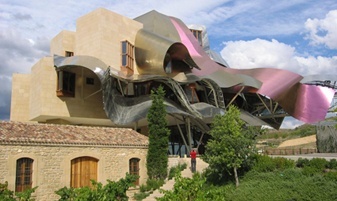 The onedaytour to the Rioja wine area is organized with a private bus leaving Bilbao at the morning and coming back at the evening. We are driving through the mountain ranges southwards into the area of the Rioja with its different climatic caracteristics. 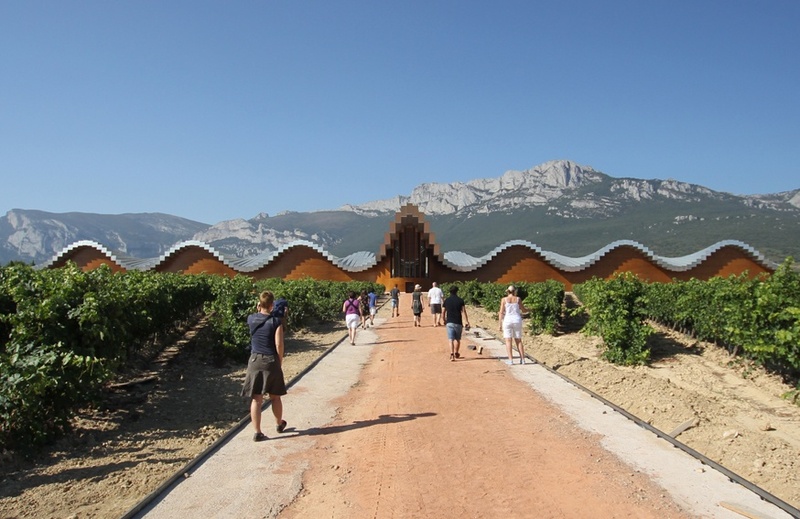 «Architecture used as a marketing instrument – giving your wine a built recognizable face» is the common topic in the selected modern or historic architecture included in the tour. A quite rural area with a manmade «landscape of wine» has been gaining international attention by its spectacular modern wineries spread out over the area, creating attractions for a new type of turism – so called «Eno-turism». Architectural experiences and winetasting are combined to leave longlasting memories to the visitors. Start of tour in hotel, meet and greet with the guide, start with bus. After the initial busride we are going to visit in the morning one or two wineries indoor – always with a final winetasting. We have our favorite combination of wineries but other interesting combinations are possible. 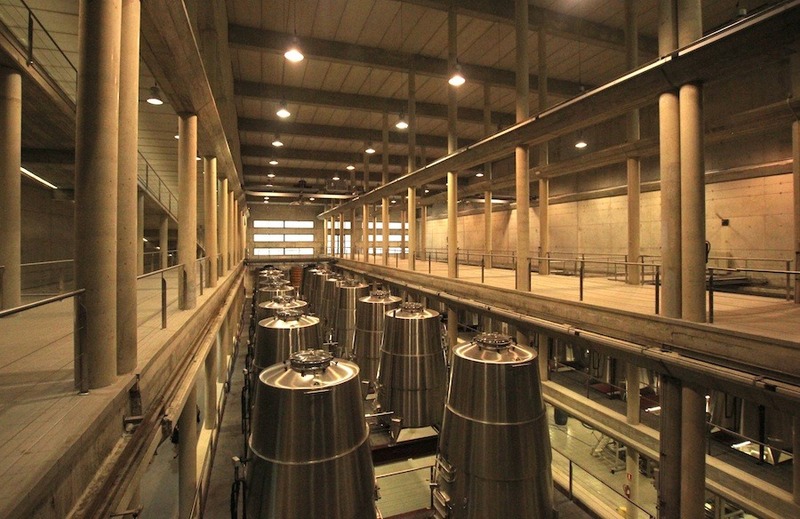 The final selection depends on availability of the wineries on the selected dates. A lunch break with typical local cuisine could be arranged in a restaurant or inside a winery. At the afternoon we going to realize some exterior visits to other wineries and a a stopover in Vitoria (on the way back to Bilbao) to see its worthseeing old town and two outstanding architectural masterpieces. end of tour at the hotel in Bilbao.